First of all blend dried plums with orange juice in a blender. Next add other elements and mix until smooth. 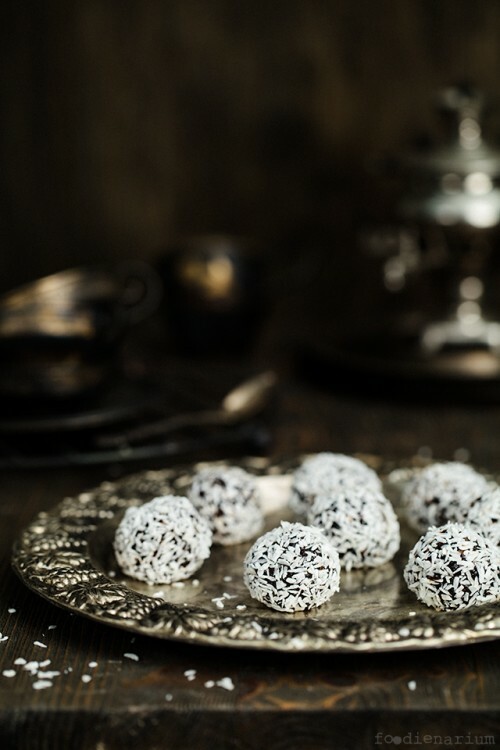 Now you only need to form balls and cover them with coconut flakes. Leave them in a fridge for at least 15 minutes and enjoy! I recommend to store them in a fridge too because they are much tastier and better looking this way.